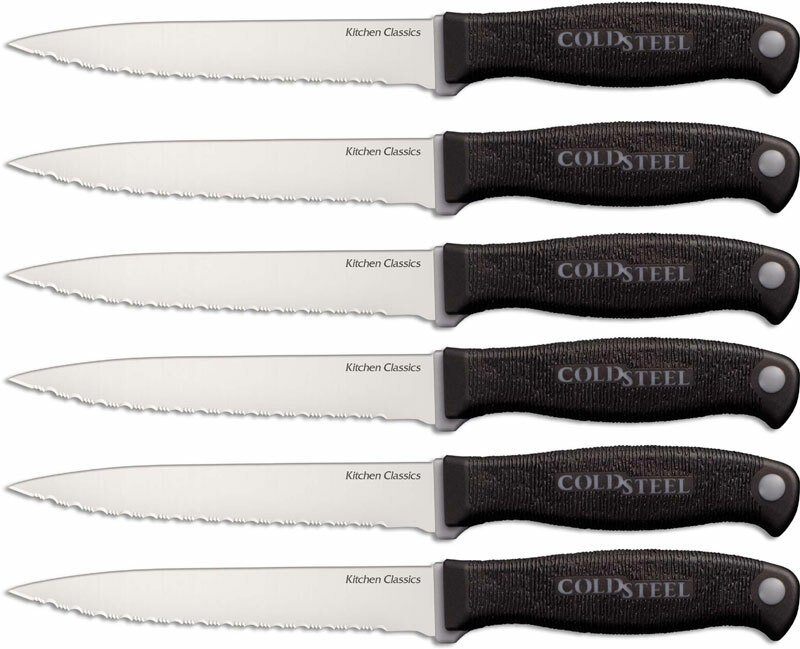 The Kitchen Classics Cold Steel Steak Knife Set features flat ground blades, and sturdy Zy-Ex handles with textured Kray-Ex overlays for secure, non slip grip when wet or coated with food particles. The quality construction of these Cold Steel kitchen knives provides razor sharp edges for cutting, and soft handles with sure grip that will stand up to lots of use. 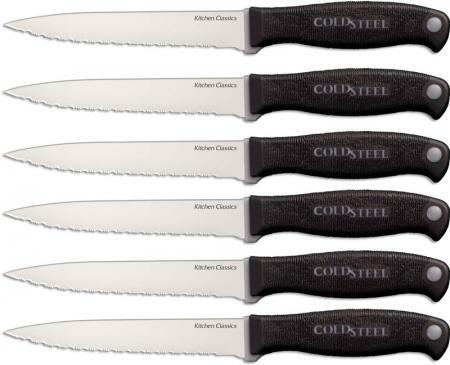 The Kitchen Classics Cold Steel Steak Knife Set includes 6 steak knives with 4 5/8" serrated blades, made of German 4116 stainless steel that is 1.5mm thick. The overall length of each of the steak knives is 8 5/8".